PDFfiller encrypts data communications and houses documents at secure storage facilities that meet federal compliance standards. SOC 2 is an auditing procedure that ensures your service providers securely manage your data to protect the interests of your organization & the privacy of its clients. PDFfiller guarantees full compliance with the General Data Protection Regulation (GDPR). This data privacy law regulates how businesses collect, process and use personal data while giving individuals greater control over their personal data. PDFfiller complies with the Health Insurance Portability and Accountability Act’s hosting standards for protecting the private health information of patients. The Payment Card Industry Data Security Standard (PCI DSS) is an information security standard for organizations that handle branded credit cards from the major card schemes. PDFfiller complies with PCI DSS for every monetary transaction a customer makes. PDFfiller users can access documents stored on secure PDFfiller cloud databases from any desktop or mobile device in a few clicks, any time. Every document generated, edited, moved or shared has a unique digital audit trail that records specific identifying information: IP address, geo coordinate, browser version, OS information and time stamp. PDFfiller’s audit trail ensures that each document is technically & legally sound. Two-factor authentication for e-signature identity verification and password-protected folders offers enhanced safeguards for sensitive data. PDFfiller encrypts user communications with the NSA developed SHA-256 encryption algorithm which is used as a security standard in the medical and banking industries to protect sensitive data. User documents are stored on Amazon’s Simple Storage Service (S3) data centers, which protects them against any potential data loss. 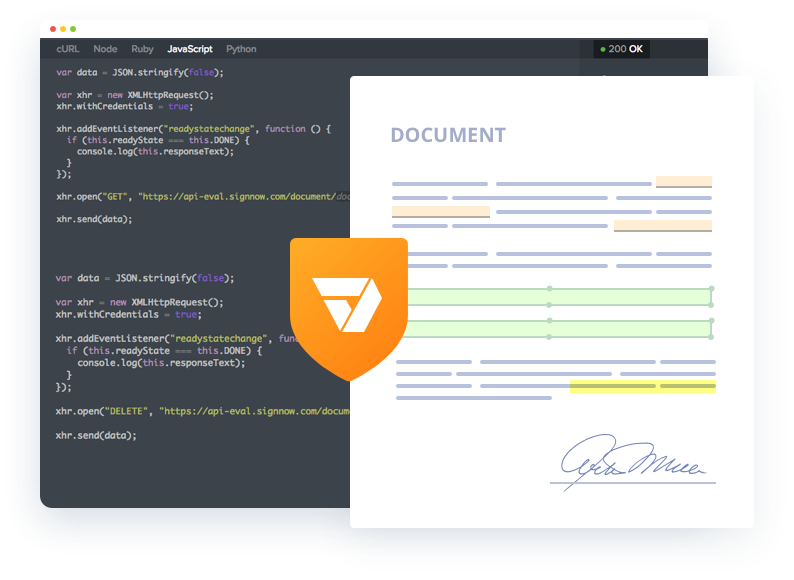 PDFfiller’s Certificate feature provides users with a detailed report indicating who a document was signed by, when it was signed and returned as well as important information about the document itself. The Certificate serves as an “associated record” that maintains the details of the electronic signature process.